Minion craze!!!!!! After transforming them into edible fondant cake, macaron, layered cake, now is the turn to make them onto swiss roll. It's a tough task to estimate the position and draw their expression by free hand. One mistake can ruin the whole swiss roll seriously. Other than its look, the taste is also important. Since I'm still with Zespri Kiwi challenge, I decided to put green kiwi fruits as their filling. A bit of sourish taste together with fresh whipped cream turn out so well. 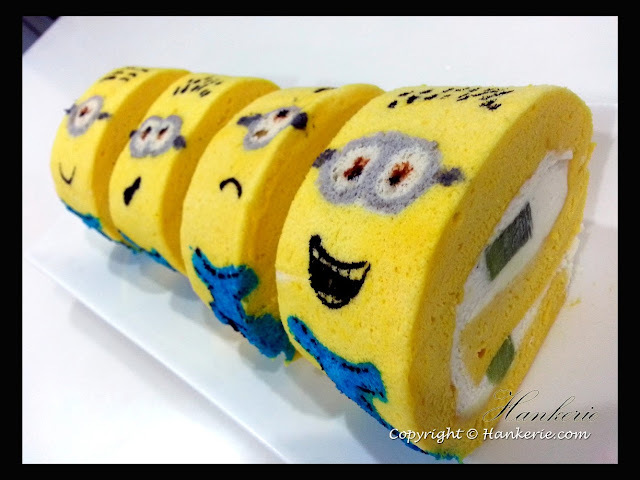 Here you go, there goes my minion swiss roll. I really enjoy to see this Minions swiss roll, make me a laughter indeed. Cut them into individual minions, some can be fat and some can be slim. 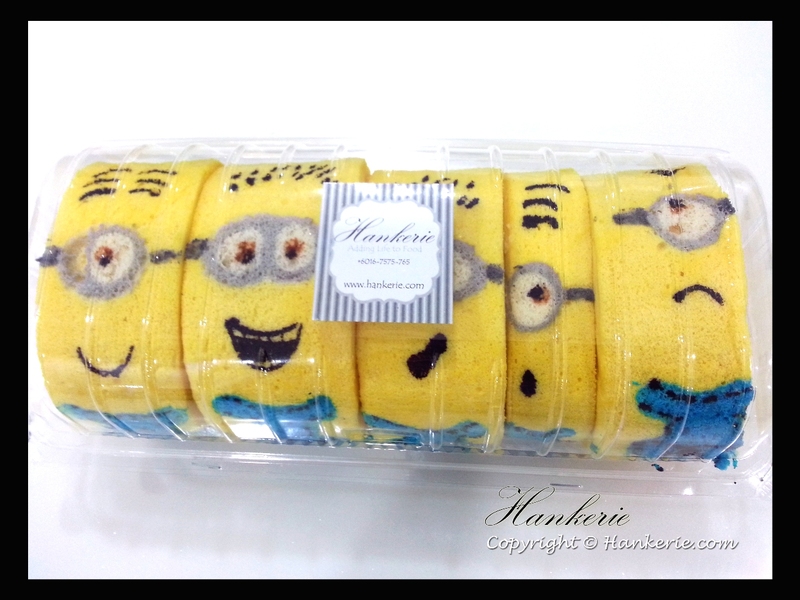 Love their expression, and suddenly feel like siniging "BaNaNa" song by Minions. Bello! 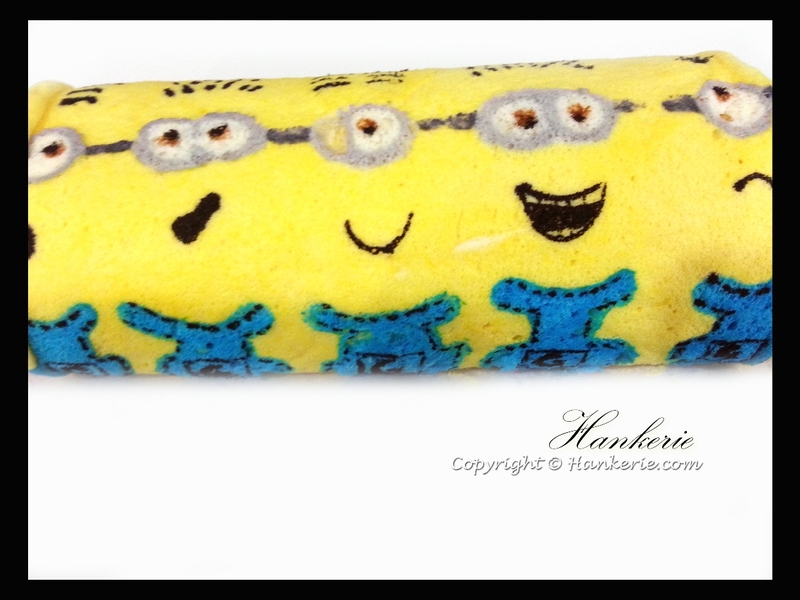 Here is my Hankerie's recipe on this Zespri Minions Swiss Roll with Green Kiwi filling, my 5th day challenge recipe. 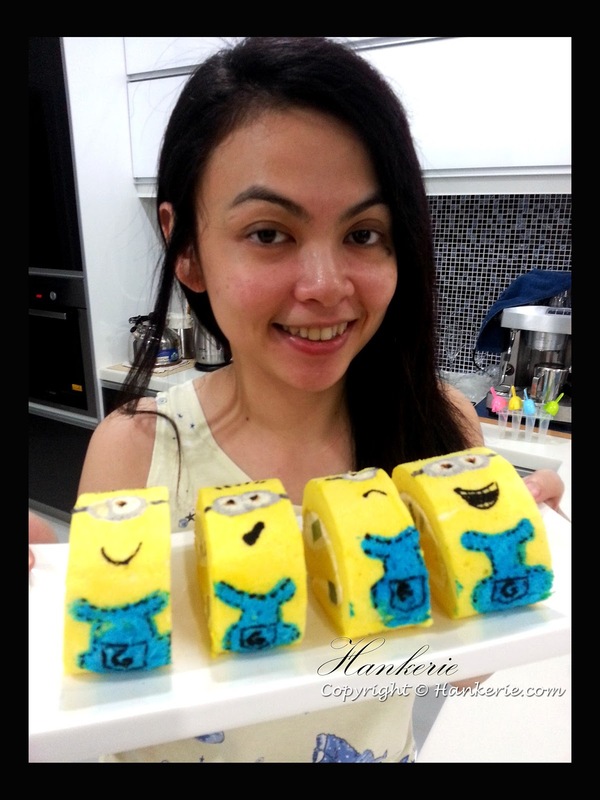 Draw minion's eyes and body on baking paper, at 2/3 of the tray. Whip egg white and sugar, mix with the edible blue ink for body, and mix the black ink for googles and strips.Spoon or pipe them onto baking paper. Set aside. To make the sponge cake, put eggs and caster sugar into a large mixing bowl and whisk until light and creamy (it should be very thick at this stage). Add on oil and yellow colouring. Cut off any hard crusty edges. 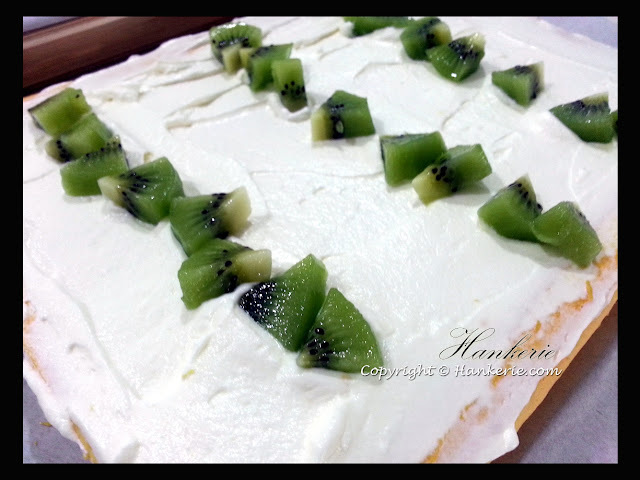 Spread with whipped cream and cut pieces of green kiwi, roll the swiss roll carefully. 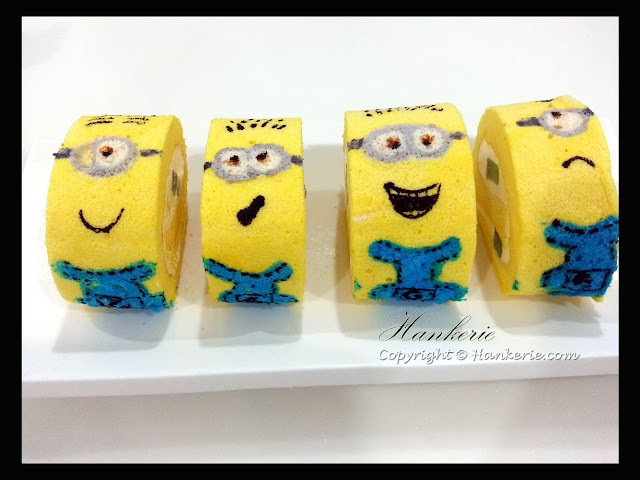 Cut the minions to individual pieces and serve on a plate. omg how did u do the faces???? err the graphics? 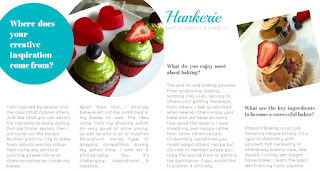 wow impressive as i dont bake as in i do not know how to bake..hehehe shame on me! 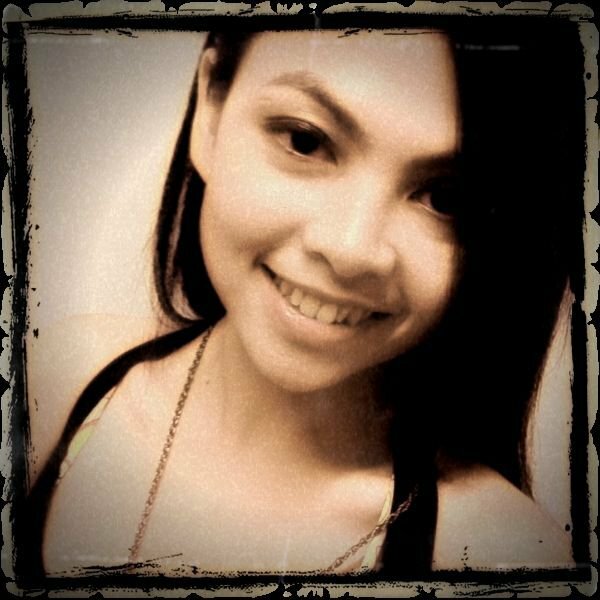 eh dear remember me this is SUZAI from the samsung event ;)) nice meeting u leyh!